Rabbi Shmuel Eliyahu reveals the Jewish law pertaining to the Sabbath in a time of war. 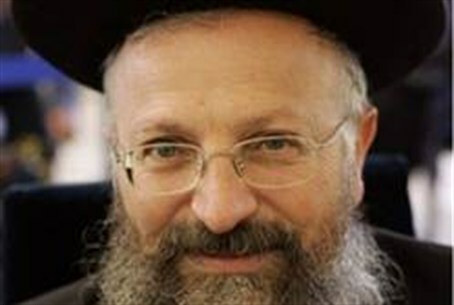 Rabbi Shmuel Eliyahu, the chief rabbi of Tzfat, spoke to Arutz Sheva on Friday about the relevant halacha (Jewish law) for observing the Sabbath during the ongoing rocket assault from Gaza. Reservists who think they may be called to service should prepare a bag with the things they need before the Sabbath, including items not used on the Sabbath such as a mobile phone, Rabbi Eliyahu said. Soldiers who have been called to service should do whatever they are asked to do in order to prepare. “Checking ammunition, [shooting on the] firing range – everything is allowed, even though he is not certain that his unit will go into Gaza,” the rabbi said. “During the battle itself one must fight bravely with no mercy for the cruel, because those who are merciful to the cruel are ultimately cruel to the merciful,” he added. Civilians living in southern and central Israel should set their radio to the quiet channel before the Sabbath begins, he said. Those in the north should not turn on the radio, even to the quiet channel. Everything needed in case of rocket alarms should be prepared in advance, he noted. If a family forgot to prepare a light for the reinforced room and must take shelter during the Sabbath, and children are crying because they are afraid in the dark, a child may turn the light on, he said. Rabbi Eliyahu concluded with good wishes for the nation. “May G-d watch over and protect and save and take mercy on all of his sons and daughters, on the people of Israel, on all the soldiers. May He give wisdom and knowledge to the commanders to make the right decisions, courage to our leaders to protect the people of Israel without fearing the nations of the world at all,” he said.